Features two large stainless steel "wings". 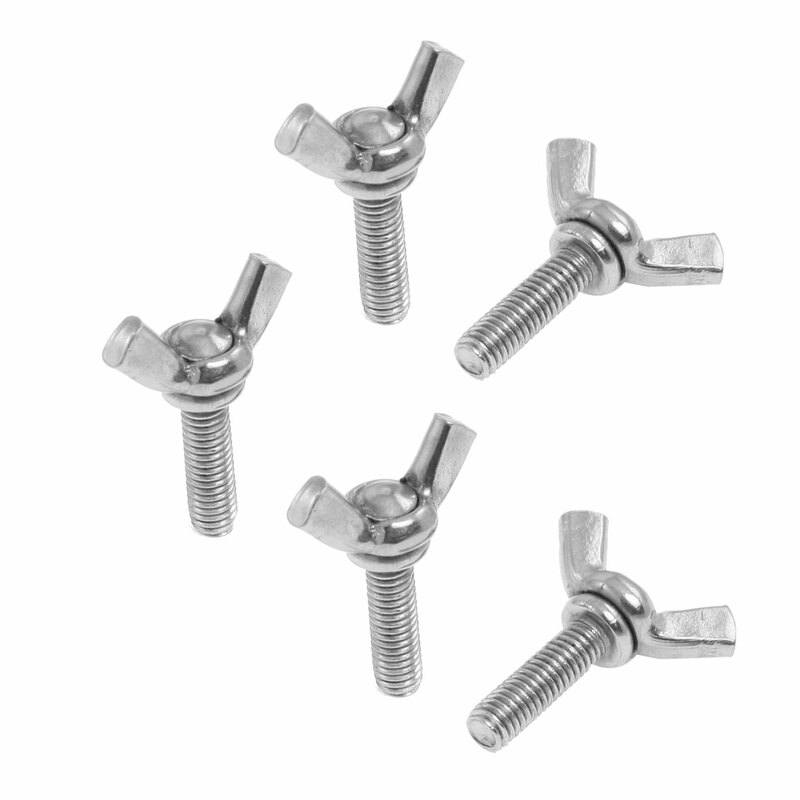 Fixing component, industrial and construction fasteners.5mm of thread and length is 16mm. You can tighten these a little better than the regular oval head screws with the extra wide wings. Thread Diameter (Approx.) : 5mm / 1/5";Thread Length(Approx.) : 16mm/ 0.63"